Nothing is better on Saturdays at Oregon than some Ducks football! Walk around on game days in style with this Oregon Galaxy T-shirt. It features a distressed screen print of the school wordmark on the front and team-colored stripes on the sleeves. The back has ?€œOregon?€ lettering with the #1 underneath it. This comfy shirt will make you look your best while you cheer for the best the Oregon Ducks! Ladies you need a top that can keep up with your active lifestyle and show a little team spirit to boot. This Element tee by Nike is specifically designed to provide you with the utmost comfort whether you?€™re breaking a sweat at the gym jogging or tailgating on a sweltering game day. It features a sporty quarter zip collar vibrant team logo on the left chest contrast team-colored stitching on the sleeves and is made with Nike?€™s Dri-FIT moisture-wicking fabric designed to keep you cool and comfortable. This comfy and stylish long sleeve tee belongs in the closet of any spirited Oregon gal! Ladies rock your fresh style and Ducks spirit in this dip-dyed tee featuring a seam wash treatment ?€” heavy washing on the upper chest so only a subtle hue of color remains anywhere but on the seams! A distressed arched school name finishes off this tee for stand-out Oregon pride. Ladies show your Ducks spirit in this Classic Logo long sleeve tee from Nike for a classy casual look featuring the team logo on the front and school name printed at the bottom of the left sleeve! Ladies stay cool and dry while showing your team spirit in this performance tee by Nike featuring Dri-FIT technology. It’s perfect for hot game days or the gym! Like all Oregon fanatics you?€™re always on the lookout for the perfect tee to represent your team pride on every occasion. Because it?€™s great for layering and being worn solo the Seasonal Logo tri-blend tee from Nike is a sure contender for that spot in your closet reserved for your favorite team T-shirt. Featuring a flocked Ducks team name outlined with a contrast color on the front and the school logo printed on the sleeve this super soft slim fit tee is a no-fuss option that you can sport through the entire season no matter the conditions. Rain or shine you?€™ll be at the game cheering for your Ducks in this cute tee! Ladies stay cool and dry while showing your Ducks spirit in this Team Logo performance tee by Nike featuring Dri-FIT moisture-wicking technology and a printed school wordmark on the front. It’s perfect for hot game days or training at the gym! Ladies though you might find rainbows flowers and puppies to be nice there’s nothing quite like Oregon athletics to stoke your enthusiasm for living. Let the world know that the best things in life begin with “O” and end with “N” with this Nice Logo tri-blend tee from Nike! This super soft tee features a sheer burnout fabric team logo accented by screen print lines. Ladies you can still rock the major team-spirited look of a jersey with the relaxed feel of a tee in this premium Football Replica V-neck by Nike! It features the school name and logo on the front the team name on the upper back above a #1 and team color panels at the shoulders for a stylized version of the jerseys your Ducks wear on the field every Saturday. You just don?€™t have the words to express how much you love your Ducks. That?€™s ok–the Angled Script long sleeve tee from Nike will do it for you. Featuring diagonal screen-printed Oregon lettering on the front and a school wordmark on the back right shoulder this slim fit long sleeve T-shirt leaves no doubt about your favorite team. Sporting this tri-blend tee to your next game day is sure to bring the Ducks some good luck! Ladies show you’ve got what it takes to be an Oregon fan in this Arch Crew from Nike. This tee features a printed school name arched across the front to show that your pride is undeniable! Ladies show you’ve got what it takes to be a Ducks fan in this Arch Crew from Nike. This tee features the school name simply arched across the chest to show that your pride is undeniable! Going to an Oregon Ducks game is an excuse to have fun cheer for your team and of course to look hot! With this Deep V-neck slim fit tee from the Nike College Vault collection you?€™ll turn heads away from the game and towards you. It features soft tri-blend fabric with ?€œFightin?€™ Ducks?€ lettering on the front above a helmet with ?€œUO?€ printed inside and ?€œOregon?€ printed beneath so everyone will know who you?€™re rooting for. Be careful when wearing this tee you wouldn?€™t want anyone to miss a big Ducks touchdown because they were checking you out! Show support for your team with this customizable locker-room style Sport tee. Simply select the sport of your choice and you’ll be ready to cheer on the Ducks with classic game day style! Ladies take on some serious Ducks style in this Cool Down double layer long sleeve tee! It features a school name printed across the front and sewn-in long sleeves boasting printed team logos for spirited team style! Your stylish Oregon Ducks spirit shouldn?€™t be sacrificed because of a small drop in temperature. With the Nike Vintage Logo raglan three-quarter sleeve tee from the College Vault collection you?€™ll be able to sport a classic look while staying warm. The slim fit shirt features a throwback University of Oregon wordmark on the front accented with gold stitching. Grab this shirt to show other Duck fans how a real fan dresses for a game. Ladies rid your wardrobe of anything that doesn’t make you look like a legit Oregon devotee and start reppin’ some retro gear with Nike’s Premier Vault tee. Its team name and throwback logo printed on top of a team-colored striped panel design across the chest and flattering slim fit are sure to make you look like quite the impressive Ducks fanatic that knows how to dress her curves! Ladies you can proudly show off your Ducks style no matter where you go in this classically chic Cross Campus Too double layer long sleeve tee by Nike. It features a wordmark printed on the upper right chest with a stitched arched school name and a school name printed down the left sleeve for a stylish and comfy display of true Oregon pride! On the gridiron the Ducks reign supreme. In the stands your fanaticism trumps all. And you aren?€™t afraid to go head-to-head with any rival fans to demonstrate your love for Oregon football just like the Ducks aren?€™t scared of any Pac-12 opponent. Prove your undying devotion to your favorite team in the nation when you show off your Oregon pride with this Nike Gridiron tee that features “Oregon Football?€ in contrast lettering surrounding a school wordmark on front. Many ?€” man woman children and mascot ?€” will try to be like you in the stands but they will find out that it takes a special breed of fan to create a home-field advantage like you do. © 2011 EverythingOregonDucks. All rights reserved. 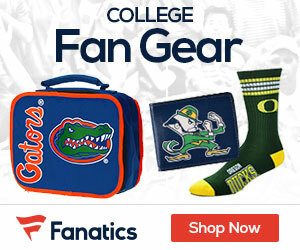 EverythingOregonDucks is in no way affiliated with the University of Oregon.